Lana Del Rey has released a cover for “Once Upon A Dream” today. The song, which will serve as the theme song for Maleficent, is a rendition of the 1959 original that came out in conjunction with Sleeping Beauty. Lana’s cover has a somber and sinister feel compared to the original. It is available for free on Google Play. Fans of Disney’s Sleeping Beauty have been waiting with bated breath for the release of Maleficent, starring Angelina Jolie. And the initial glimpse of the official trailer was premiered at the 56th Annual Grammy Awards, was also the first time the public heard the title soundtrack, Once Upon A Dream, sung by pop sensation Lana Del Rey. 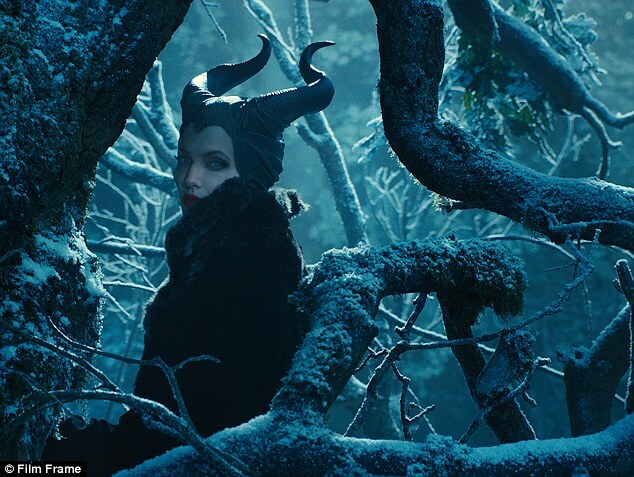 The film is a darker take on the Disney classic, telling the story from Maleficent’s viewpoint, exploring the events which led up to her becoming a cold-hearted villain. The song will also be available exclusively on Google Play through Monday, February 3. A source told the Mail On Sunday: ‘Angelina has been incredibly active in all aspects of the movie, even bagging a role for her daughter Vivienne, so it’s no surprise that she helped choose who would sing the song,’ says a source. Maleficent is out in cinemas on May 30. This entry was posted in Music and tagged Lana Del Rey, maleficent, Once Upon A Dream, Pop, Sleeping Beauty, song of the day, soundtrack, Trip hop. Bookmark the permalink.